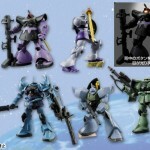 The Toyark › Gundam Toy News › Banpresto Gundam "Prize Items"! 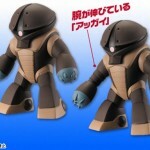 Banpresto has updated it’s prize site with images of it’s upcoming “UFO catcher” items! This series contains detailed head figures that are ~10cm tall, and contains the Strike, Devil, F91 and Ground Type Gundam. 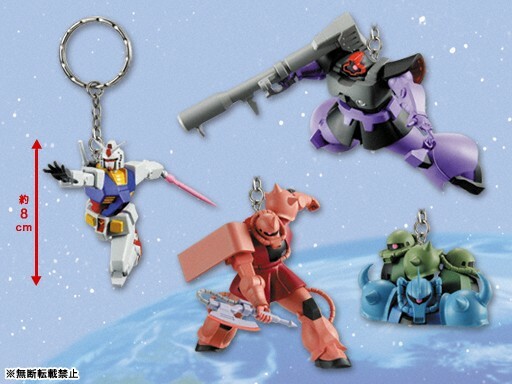 The Knight Gundam is the theme of these toys, and comes in 3 packs: Knight Gundam with Sword and Shield, Knight Gundam with extra hands and a spear or Knight Gundam’s ever valuable ride-into-battle steed! 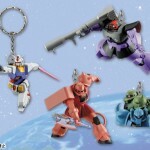 Set of keychains featuring the RX-79-2, Char’s Zaku II, Dom and the Ramba Ral squadron. 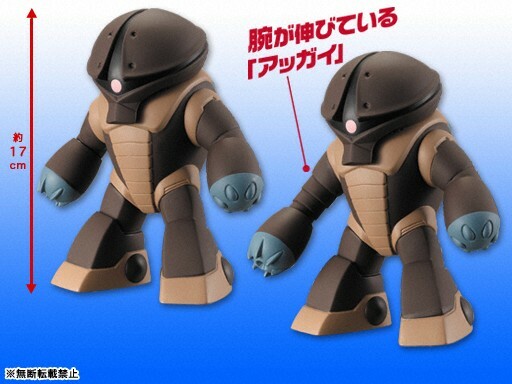 A figure of the amphibious Acguy that comes in two flavors: a short arm type and a long arm type. 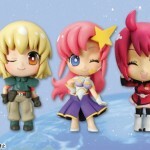 Cute PVC figures staring Cagalli Yula Athha, Meer Campbell and Lunamaria Hawke! 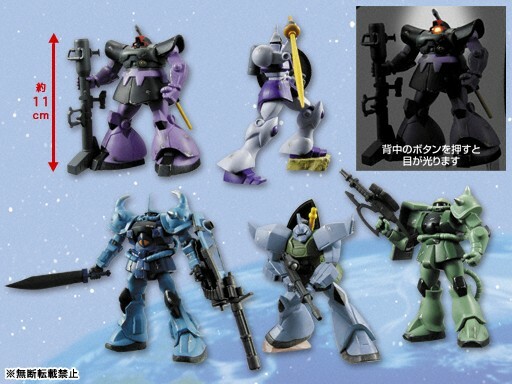 Figures of various Zeon mobile suits with light up capabilities in their mono-eye, featuring the Zaku, Dom, Gyan, Gouf and Gelgoog! 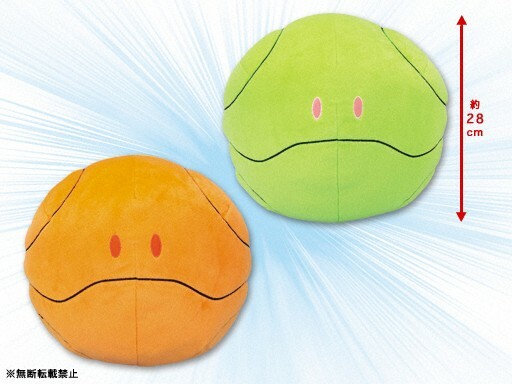 Your pal Haro is now a plush doll!! Comes in 2 colors: Orange and Green. All of these prizes are expected for a January release. 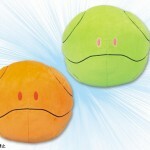 For all you UFO catcher crazed people, Banpresto has updated their prize site with these new items. If it was me, I'd try and get that Strike Head item. 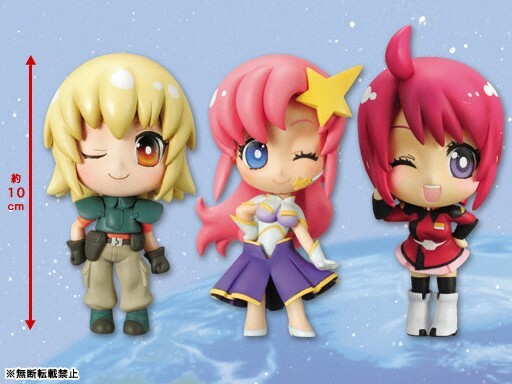 Love Gundam SEED.